I came to know about Rajat and his company when I was working in Bangalore. They used to do resume writing for my company's clients in US and elsewhere. It is natural for clients to be somewhat dissatisfied with work, but to my utter surprise NOT ONE of the clients who got resume written by Rajat and his company complained. The appreciation came time and again. When I wanted to move from that company, my first call was to Rajat to create an infographic resume for me. The final output was amazing and there were many companies I attended with that resume. Each time, either the HR manager or the process manager asked about the resume. Such was the beautiful design and content. Everyone felt it was too good. I have personally referred many of my friends to them and even they have given very good review of the company and its services. One of the best reviews came from the office of a prominent Indian politician based in New Delhi. I had applied for a role in the party and my resume was sent to them. I was contacted by that politician's office and one of the things they asked me was, "Your resume looks so good and where did you do it?" Rajat and his company folks are extremely talented guys and I would suggest you can trust them with their work. As a suggestion, if they can use more job specific keywords in resume which will make resume rank higher on Naukri and other sites, it will be even more good. I have seen their services for the last 4 years. I vouch for their timeliness and splendid work. This is in regards to the services provided by Ms Deepti [for On Demand Recruitment]. I am highly satisfied by the efforts she has put in. She handled each query of mine diligently and was very prompt in her reply. These guys are amazing. Their team is always on toes to give exceptional service to its clients. I am in touch with Get Set Resumes for the past one year now and can confidently say.. they are the best. Prachi, and team- Kudos. At the outset , I want to thank you for this amazing output. I believe this is very close to what I am looking as an final output. Now the ball is in my court to cut it and add relevant content post which I will send it to you for formatting. Hats off to your hard work and persistence! Excellent work on the resume, I really appreciate your sincere effort in putting this together! Resume does not give a job, a job can only be obtained by our skill and knowledge but resume is a that interface which exhibits our skill at a glance to any unknown person, in this field GetSetResumes really exhibited their outstanding skill, they not only give a great resume format but the content of the resume is also great. Another most important thing is their service, countless times I asked for alteration and they did it without any question, it is really a great experience to be a customer of GetSet resume. I can suggest people that you can blindly go with them for any service. Their text resume, LinkedIn, Cover letter, Graphical resume all are awesome. Wish you a great success getSet resume team! I have been using their services for now more than 3 years. I have had a regular CV and recently got info-graphic CV and trust me it was really overwhelming seeing your own details put up so nicely and it helped me a lot in getting interview calls and landed up in finest automobile company. I highly recommend their services. CV Guide assigned to me was really helpful and understood all my requirements. And above all their effort in helping you out even after receiving CV is amazing. Thanks a lot guys!! All the very best. Definitely you have got 1 person to receive your services forever. Thank you for the great job done in very limited time. It was great that you understood my requirements well and you were able to provide more than what i expected in first draft itself. I am fine with the content. This is the first time that I use a professional service to assist me in developing my Resume and a cover letter. I am quite impressed with the quality, price and fore most the quality of personal service that I received. I cannot be more grateful to my writer because after I send her a very comprehensive list of documents and I am not a very detailed person she literally read my mind and we just had to do a minimal adjustment and because of my lack of detail. The writer developed my profile and my resume from technically nothing to a very well polished piece of writing that will make me more marketable in the future. The time is perfect because I dont want to have a rush service that will not be up to quality, I cannot emphasise the level of satisfaction and the level of service that she provided me. For sure in the future I will let the professionals do the job because at the end it will be done right and precisely. In my line of work and also in my personality I am not very attention to detail by no means but she really put the effort to the most minimal detail to make sure it was not done correctly but rather perfectly. I highly recommend this service and my writer to my friends or any one that has not the capacity to develop a great resume. Once again I am very content and super grateful for helping me in my resume, not just a job well done but a job with care and quality surpassing my expectations. Thanks a lot! Just wanted to share an appreciation for your team. I had shared my resume with Shashi Tharoor office for party related work. They really liked the resume and asked details about your company. Good Job. I'll continue to refer. Thanks for the excellent work.The resume and cover letter you revamped for me is an amazing transformation! I truly appreciate your time and talent. It was great to see that you transformed all details into a wonderful resume without any iterations. You got it right at the first draft itself. Great Work!! Will surely recommend to my other Friends as well. My consultant was a joy to work with. She was timely, knowledgable on the subject, and provided excellent edits. I didn't know, for example, that certain fonts are considered more professional than others. I also very much liked the idea of an interchangeable/modular cover letter to apply so that I may apply to multiple industries. Thank you so much for the revised CV. It is more than i expected . I am very happy with the structure and the content as well. I would appreciate if you can support me for the next few months. Hi, Me and mother, Arti Sharma recently availed your visual writing resume services and coincidentally were given Sakshi as our consultant. I am pleased beyond words with the way Sakshi not only engaged but delivered the final product I am impressed with how accommodating she was with all the alterations mentioned and took the suggestions seriously. I will definitely recommend getset over market biggies like naukri any day and that is because of the amazing team you guys have! Thank you for all the help. Very Satisfied. My upgraded CV has surprisingly started doing the trick for me! In the past 2 weeks of uploading and sharing it, I have received 4 new calls, all from top firms in my domain. Thanks! I would like to thank you for your excellent resume making service, which played a vital role in getting me my first job. Happy with service, the professionalism. Ronit was very candid, Sakshi was very courteous and was an expert. I only took your resume development pack and the most impressive thing I experienced was how a 3-page resume can be judiciously captured in 1 page with no important point left to cover. All the representation and the format was just great. As they say, it has become more noticeable now. Thanks for the effort. Great service. Initially, was thinking to go for naukri, Timesjob etc. But something changed in mind and finally got timely, less costly and good service from you. Thanks again for the quick and timely responses. My profile now seems to be more marketable than earlier & my linkedin profile looks very good as well. The comfort & confidence will never make me look for any other resume writer in future. Thanks once again for a great job. I want to thank you for the service provided to me (Resume Writing and Linkedin Profile). Now I have a good job in a International EPC in Kuwait just because of the Resume written by you. The Clarity in resume has been appreciated by the Project Manager who took my interview. He appreciated for my resume and he said my resume is interesting which made him to select my resume for Interview Process. I want to thank you for the professional service which was well done. The effort which has been put into my new resume is clearly visible. It looks much more impressive and portrays a strong profile. Thank you very much for your good work. I am pleased to issue a testimony in favor of “get set resumes” for doing a fantastic job. The client supporting team is very sincere and hardworking. They literally take the pain of redrafting, reformatting, Multiple edits etc till the client is satisfied. It is not easy. I am a tough customer and they did fabulous job on my resume. I will be pleased to forward their reference to my friends and colleagues, who wish to redraft their CV and give a face lift to their resume. I wish all the success to getset Team. Overall from the professional point of view, I was really impressed with the content as well as the format. The writer was truly a professional one and I was much impressed by his way of approaching the client. The resume looks great to me. I really liked the format of the resume and hopefully, it will take me a long way. I am grateful to you and your team for giving my resume a complete makeover. The end product is remarkably comprehensive and at par with international standards. Thank you very much for all your efforts. The CV was designed beautifully. Many things were included which I had no knowledge that it may also be included. Overall it was a good experience. They provided me with a wonderful new resume that was focused, targeted, and compelling towards future employers. I am very happy with the service, quality of work, and attention-to-detail. I recommend the writer highly for her good work. Furthermore, I have already referred a colleague to your team. Will keep referring friends and colleagues who are really looking for an exceptional resume. Very fast response. All the corrections asked were incorporated with ease. I was overwhelmed when I went through the resume drafted by you guys. It was really prepared in a high quality. Thanks very much. Everything is described correctly and in a very professional way. I really appreciate the professional diction, I never could have expressed and introduced in this excellent way. I decided to use your CV as it is to approach companies in India. I will just delete one or the other small description. I am really satisfied with the service of GetSetResumes. It has given me a direction in which I need to focus on. Overall, it was a very good experience. More than satisfied with the service and happy with the format and content. Found your questions very good and easy to respond to but the service could've been a little quicker. On the whole i feel, Getsetresumes means get set and get the job. Thanks for elegant and real designs of Resume, Cover Letter, and LinkedIn profile content and I love much for them. Those are in Good English while being all the contents are included. Very novel format, Self-explanatory and highly qualitative texts that include all essential facts. Well mannered and timely service. Wish you all the best! The swift communication and delivery really impressed me. Even though I opted for express service, which commits upto 3 days, I received my first draft within 36 hrs which was as good as final delivery. Besides, the service is appropriately priced; in comparison to other resume services, its cheaper. I had the pleasure of working with you and your company on a project of my "Pro Resume, CL and social Profile". I am writing this letter to you to express my great satisfaction with the quality of the work completed and quality of the people from your company involved in this project. You were extremely helpful from our first telephonic conversation through completion. Everything worked immediately and I am pleased with how things turned out. Please convey My appreciation to all of your team members. As a Consultant, You were helpful, result oriented and considered all my concerns carefully and positioned it professionally in my resume. Your patience while you served me was indeed great. 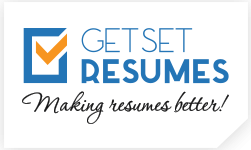 Get Set Resumes is the best place to transform your resume in an effective and presentable manner. I hope this will boost my career. Excellent service. Keep it up. I think you are one of the best resume writers and far better than companies like Naukri or Monster who do not even bother to call the clients and take feedback on resume. There was an effort taken by you and your team to deliver the best. It was not just completing the resume and handing over but you also guided me and answered all my queries (not particularly related to the resume), which definitely gave your service a personal touch. I really think u guys did a good job. It has helped take the pressure off me to update which I was due for a long time; you were asking the right questions to extract the needed info. I will certainly recommend to my friends (did already). You guys have a good future :) Wishing you the best. Customer focused perfectionists. Work towards maximal customer satisfaction. I definitely recommend working with them. Professional and helping attitude. I am quite satisfied with the final document. To keep it short, I got far more than what I expected. Having reviewed their peers, I found getsetresume's approach simpler without diminishing the importance of detailing that the task requires. There is nothing I can think of asking them to improve upon! The best part is that they're offering their services for far lesser prices than its worth. Grab their services today! A good resume plays an important role in getting shortlisted as before candidate his resume reaches the recruiter. I have started getting selective but relevant offers since I uploaded my new resume on job portals. The [MOCK] interview was a good retrospection of how well I have prepared my CV and it will help me a lot to improve. I am happy with the services and response received. I sent query to 8 other resume service providers but only getsetresumes was prompt in addressing my request and customizing services for me. Recording of resume is an excellent service to review one's own mistakes, please include this in your value proposition. Extremely Satisfied with the resume. I loved the format and all my 5 pages of resume presented in 2 pages without leaving any important detail. Recommended for anyone looking for a fresh resume. The service I have received from GetSetResumes is phenomenal. My resume looks great and I couldn't believe that it was fit into 3 pages. Thank you guys for your effort! The effort which has been put into my new resume is clearly visible. It looks much more impressive and portrays a strong profile. If the resume is good half the battle is won and with my new resume, i am sure my skills would get reflected in the best possible way. My consultant is a wonderfully gifted content writer I had absolutely not discussed anything with her but just by my certificates and other documents she wrote a wonderful readable piece of resume, thanks a lot. Very professional and helpful. Highly recommended. Looking forward to work [with you] again. The final resume was awesome. I was not expecting so much, but the outcome was really good. Service is quick and delivered on time. Very Satisfied with my new LinkedIn profile and the service. I am extremely impressed with the expertise of getsetresumes' services, the content was excellent and easy to read. The overall customer handling skills too were excellent and service oriented. I wish them all the best in future and would recommend them to advertise more about the services they provide on popular websites like Facebook etc. Get Set Resumes comprises a dedicated team of professionals with years of industry experience specializing in providing resume writing and career consulting services. We build sustained relationships with clients through annual updates, half-yearly support and consultations that can help you win that interview call with ease. Congratulations! You have added career boosting product, Go for more! We found that the items in your cart are part of our money savings bundle. We feel you must consider these. You will not regret adding them too! If you do not have a resume to share with us, don't worry. Upon Checkout you will be directed to our Information Exchange page where you can submit your information. Beneficiary: Falcon Minds Consulting Pvt. Ltd. Enter your name to check availability. If Url is not available, try appending 1, 2 and so on. Leave your contact details to know more about our Executive Resumes.